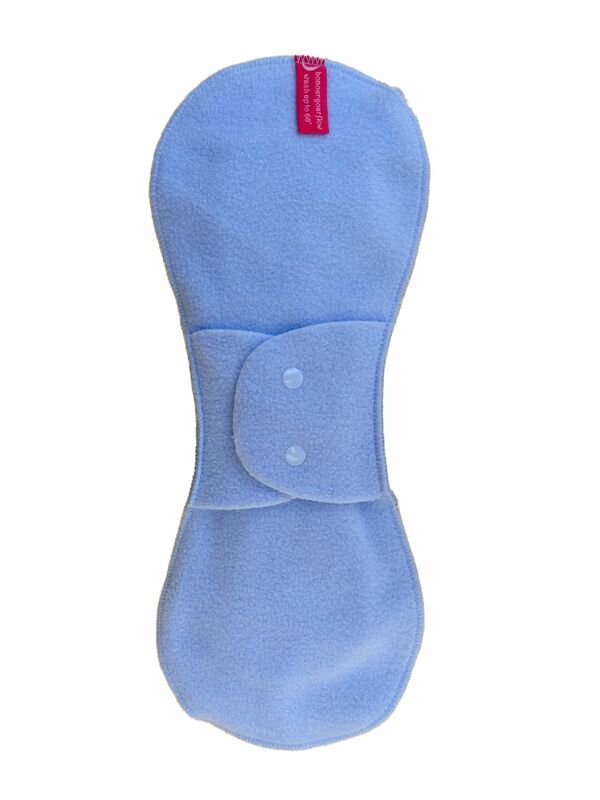 A washable sanitary pad in a lovely dusky blue colour, made from a layer of organic cotton velour on top, with four inner layers of thick organic cotton fleece and backed with pale blue polyester fleece. The PUL layer is standard, offering full waterproofing, but you can opt for the pad without it. 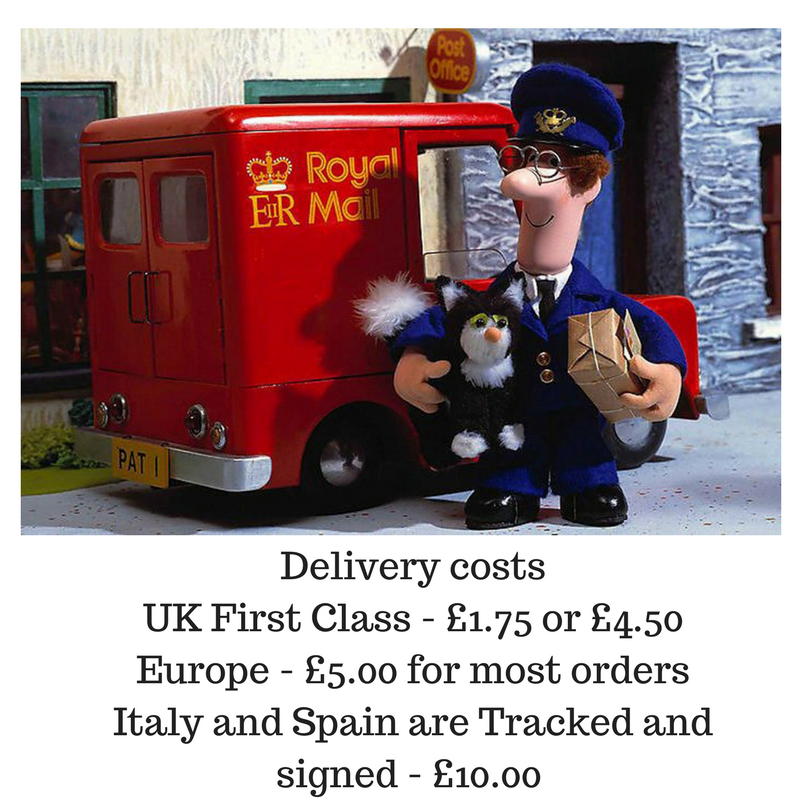 We also offer you the wool backed option, which is backed with undyed organic washable wool. All the pads a re machine washable up to 60'. 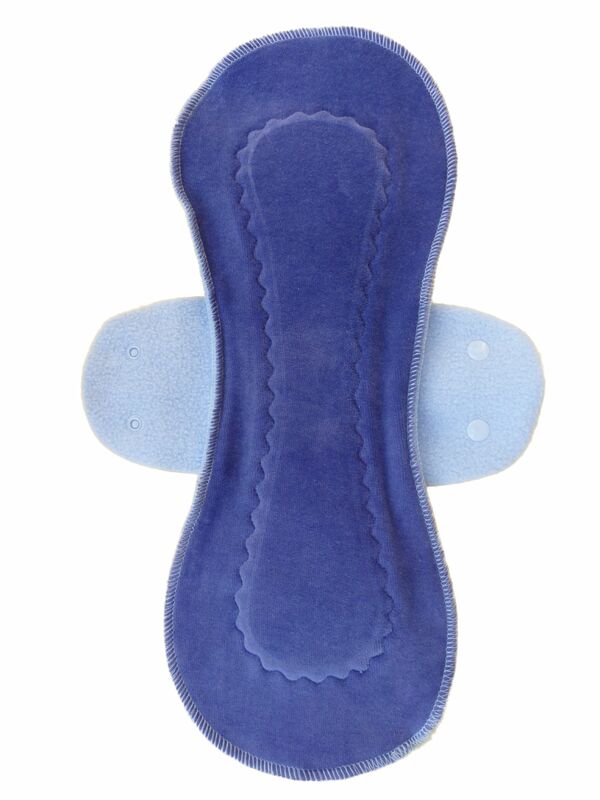 The Slim Mega pad is a good long pad with a generous amount of inner inners, making it suitable for very heavy flow days. 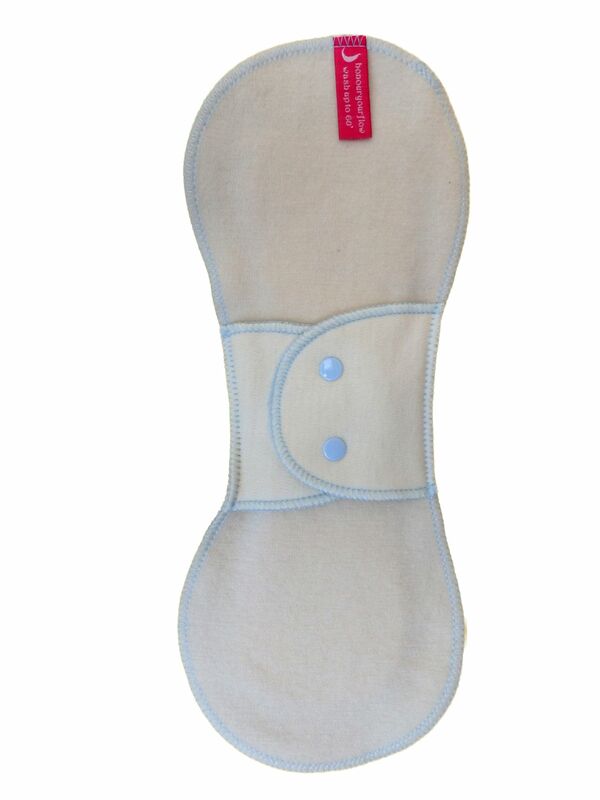 It makes a great heavy flow pad for larger women, but is also suitable for smaller women, even as small as a UK size 8. The design is so slim fitting it feels like minimum bulk for maximum protection!